I’ve been mostly wheat- or gluten-free or primal/paleo the last 5 years, and sometimes play around with alternative grains and things. 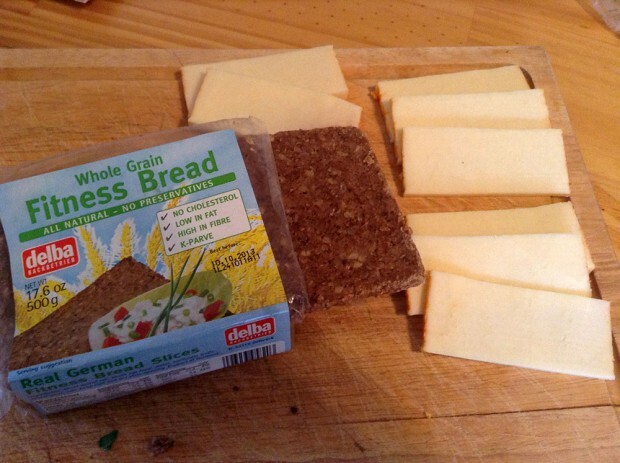 I recently picked up some wheat-free German bread—dark rye and “fitness bread” made mostly with rye and oats—from Ocean State Job Lot (the Rhode Island version of Big Lots). 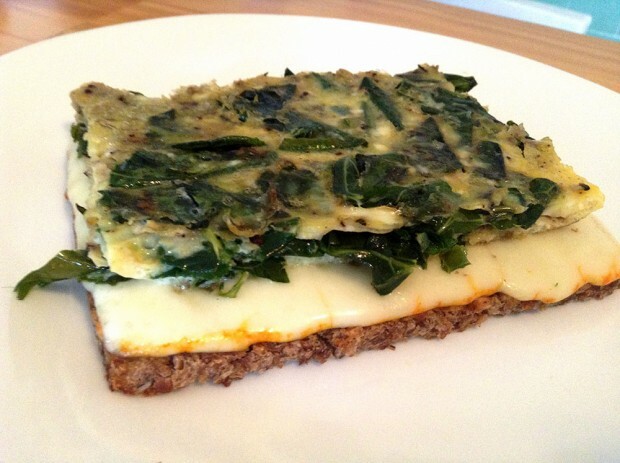 One morning I was inspired to make egg sandwiches using muenster cheese and collard greens. 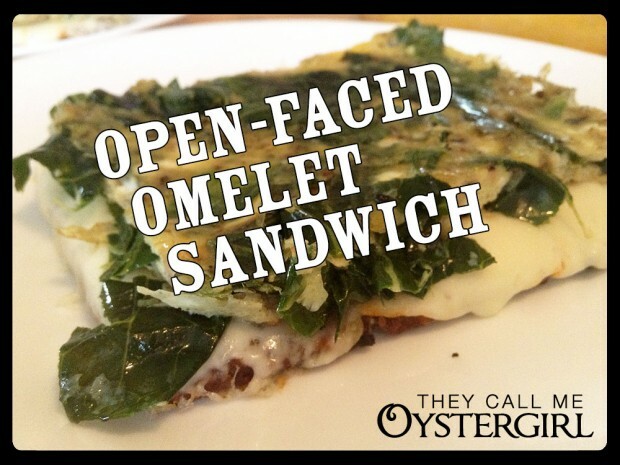 I made them open-faced (à la Norway) because I like my protein–carb ratio pretty left-heavy in the morning. 1. 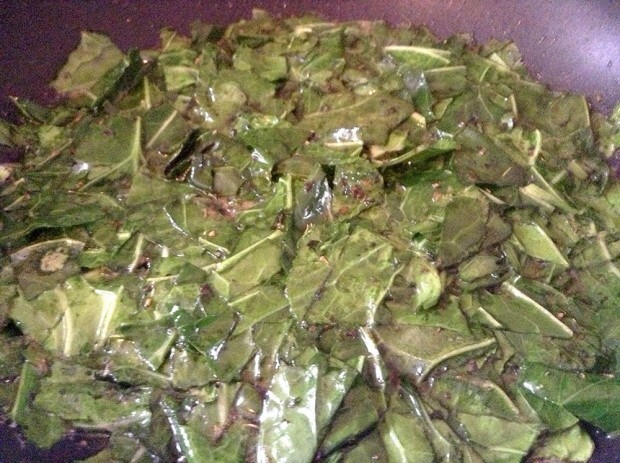 Sauté the collard greens in your favorite fat or oil (I used coconut oil) until about half-way done. 2. 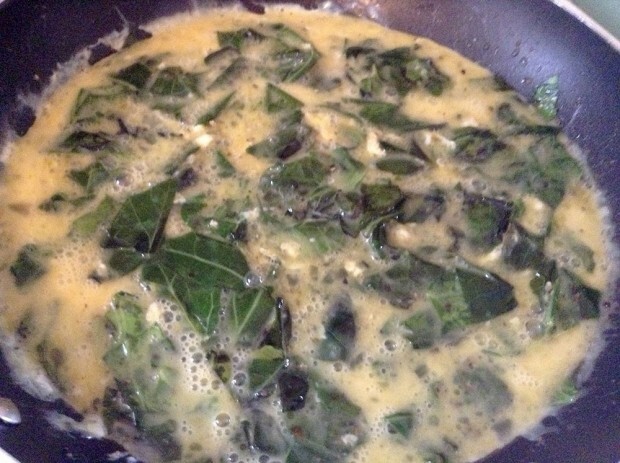 Whisk the eggs with water (1 tablespoon per egg) and salt and pepper. Add to the greens. 3. 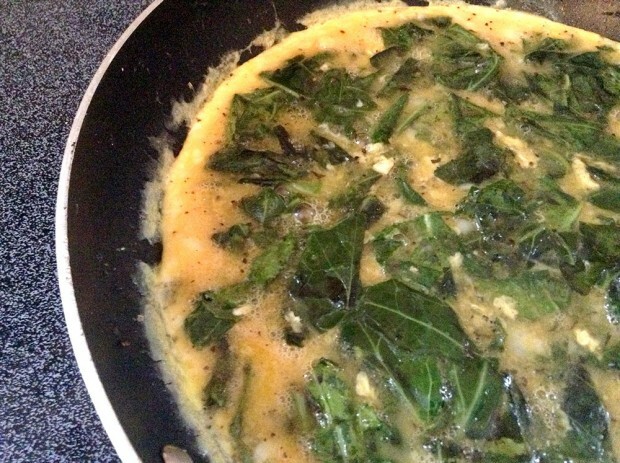 Take the heat off the eggs when they’re almost done (they finish on their own). 4. Toast the bread until it’s almost done. 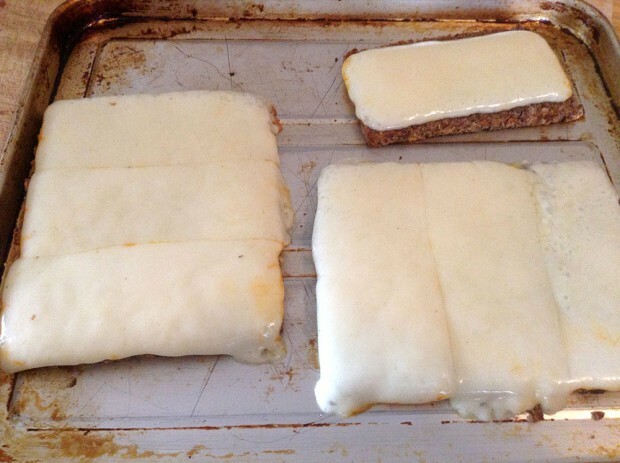 Add the cheese and toast a little more. 5. Slice the omelet to fit the bread. Right after the bread comes out of the toaster (so the cheese is still all melty), put it all together, pressing lightly to get the egg and cheese to stick together a little bit.